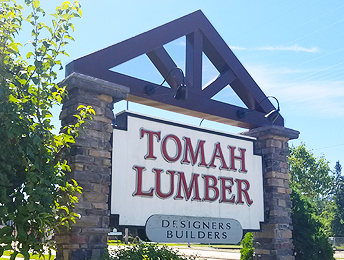 Since 1929, Tomah Lumber has been known for unmatched quality and expertise. Our primary focus is new construction, from light commercial structures to residential homes and remodels. Our Hillcrest and Stoneridge Estates subdivisions offer a variety of lots for building both custom and prebuilt Tomah Lumber homes. Our customers enjoy a seamless sales experience from the first ideas on paper to move-in day and beyond. Excellent, skilled craftsmen are on staff to provide our customers a full range of services, including new construction, kitchen and bathroom remodels, and everyday repairs. Tomah Lumber is here to assist. Travis and Shannon Boettcher are the owners of Tomah Lumber, Inc. Travis graduated in 1999 from the University of Wisconsin-Platteville with a major in Building Construction Management and minors in business management and architectural drafting. He spent his first working years with a commercial contractor based in Madison, Wisconsin. An architectural drafting position opened at Tomah Lumber in 2001, and he accepted the opportunity. Nearly two decades later, Travis is still building homes for Tomah Lumber. He heads a team of excellent, skilled craftsmen to provide unmatched customer service before, during, and after each sale. Outstanding service including free custom home design, estimates, and deliveries in Tomah. The Tomah Lumber wood shop is where we provide custom cutting and create products tailored for your unique needs. Looking for only one piece of plywood? Stop at Tomah Lumber. We will cut it for you. Better yet, you do not have to purchase the entire sheet. Only need a few of nails or screws? We buy in bulk and sell to you only what you need. 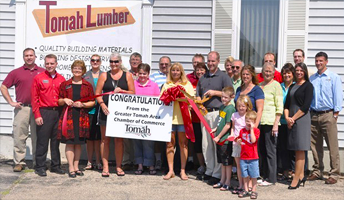 Tomah Lumber is not just for contractors. Looking to purchase materials so you can complete a weekend project? Stop at Tomah Lumber. We offer a cash and carry discount! We order the best grade of materials available to ensure you are completely satisfied. Stop in for all your building project needs. We are available during regular business hours or by appointment. Call us any time at (608) 372-2111.